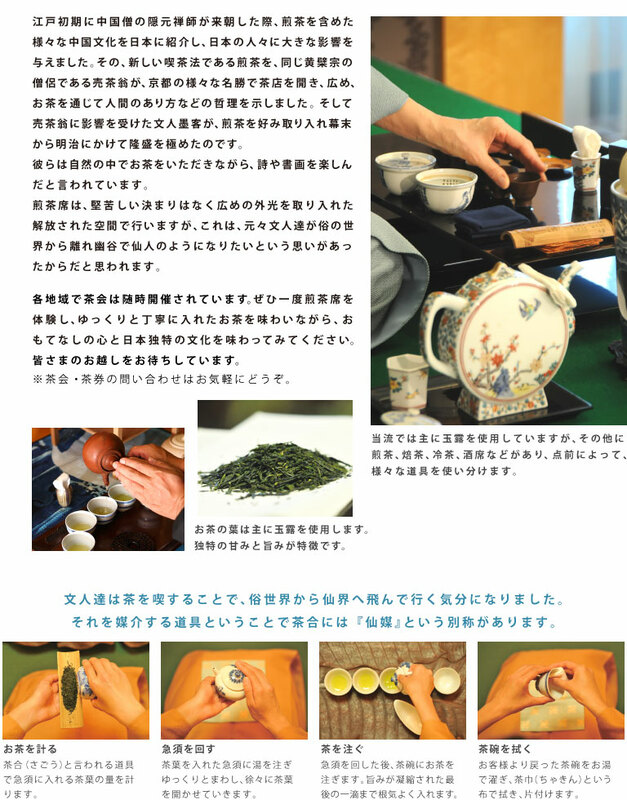 (form of tea ceremony using powdered tea)was perfected by the famous Rikyu. Sencha(leaf tea) was introduced by the monk Ingen (Yinyuan Longqi ) from China. In the 18th century, a Zen master called Baisao left his temple at the age of 61 and spread Zen teachings. Artisans, artists and merchants alike flocked to him and found inspiration in his ideas. first buds come out in spring before picking. spiritually and collectively. Uniquely, we also serve sake after our tea, on occasions.